At the end, the author outlines what poetic forms and devices she uses and where her inspiration came from. Her love for Shakespeare is obvious. The author even encourages composition on those subjects the book doesn’t cover – sort of a “you try it now.” She is very careful to use correct terminology and not to oversimplify for third graders, so literacy skills and comprehension are more important than ever. 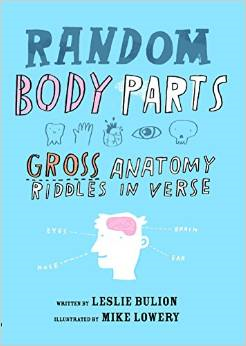 Throughout both the riddles and the back matter, humorous illustrations aim to keep the readers’ attention and have them looking for more. Students may want to try their hands at drawing their favorite body parts – within reason. Very cute, very educational, and very fun. This uplifting novel in verse focuses on a girl who loves to daydream. One word can carry her away to a memory or a place. 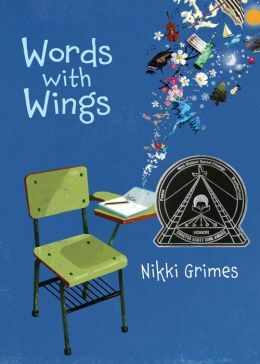 Nikki Grimes does a wonderful job of illustrating how this is a child who does care deeply about her surroundings, lessons and chores, but also needs the release of daydreaming. It is also a story with hints of divorce, missing the past, but accepting the present. The light touch makes it realistic without becoming dark or overbearing. The seeming simplicity of the poetry makes the story approachable for readers, but was undoubtedly difficult to construct. Third grade readers and sixth grade readers alike will slide into this story and recognize themselves and other classmates. What a wonderful teacher Nikki Grimes has put in her book. He is a real teacher from her past that was important in supporting her writing. Instead of daydreaming being forbidden in his classroom, Mr. Spicer recognizes its importance to the children and appoints it a special time. While this can’t and won’t happen in every classroom, it might be an idea that children will adopt on their own. Literacy skills abound in this book as it emphases how just one word has the ability to transform and transport a person. 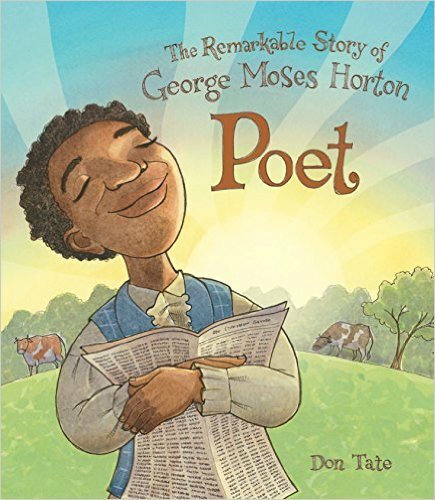 The poetic form of free verse is part of the core curriculum and can be met through this book. As well as writing standards by having students study any one poem, or group of poems before writing poetry of their own. The poetry created by Kay Winters breathes life into the story of the Oregon Trail and the many emigrants who traveled there in the thirty years of its use. Between 1830 and 1860 overlanders made the trek in farm wagons pulled by horses, mules or cows. Most people sought free land and riches to be made on their own terms. They sent letters back home that helped to preserve their adventures; good and bad. People were born and died along the trail. They were married, injured or became sick or lost. Each poem in this collection is written from the perspective of a particular individual. Women, men, children, Native Americans, and even the captain of a wagon train all have their say and give the story the feel of realism. 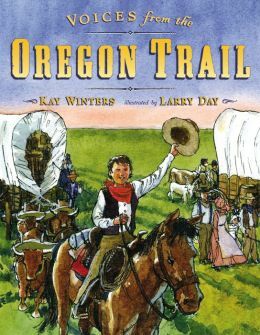 Third grade readers will be enthralled by the journey and the chance to think about and pretend they are along for the trip. The illustrations are colorful, active and realistic enough for readers to feel part of the square dance, the river crossing, or the hail storm. Teachers and librarians can use this text in the core curriculum for literacy skill development in reading as well as in the areas of writing poetry and/or memoir. It would be a valuable addition to any library.